This article is about the West Iberian language related to Portuguese. For the extinct Celtic language from Asia Minor, see Galatian language. For the Iberian Celtic language, see Gallaecian language. "Galego" redirects here. For the creation myth from Bugis, Indonesia, see Sureq Galigo. For the type of primate, see Galago. For the language spoken in Galicia (Eastern Europe), see Rusyn language. Galicia (Spain) Official national language in the community of Galicia. Decades of development as language of literature, including poetry and essays for all levels of education. Growing sense of ethnic identity. Distribution of the various dialects of Galician in Spain and the extreme north of Portugal. The southernmost area on this map, painted in turquoise shows the region Val de Xálima in Spain, whose language is the Fala language. Galician (/ɡəˈlɪʃən/, /ɡəˈlɪsiən/; galego) is an Indo-European language of the Western Ibero-Romance branch. It is spoken by some 2.4 million people, mainly in Galicia, an autonomous community located in northwestern Spain, where it is official along with Spanish. The language is also spoken in some border zones of the neighbouring Spanish regions of Asturias and Castile and León, as well as by Galician migrant communities in the rest of Spain, in Latin America, the United States, Switzerland and elsewhere in Europe. Modern Galician is part of the West Iberian languages group, a family of Romance languages that includes the Portuguese language, which developed locally from Vulgar Latin and evolved into what modern scholars have called Galician-Portuguese. Dialectal divergences are observable between the northern and southern forms of Galician-Portuguese in 13th-century texts but the two dialects were similar enough to maintain a high level of cultural unity until the middle of the 14th century, producing the medieval Galician-Portuguese lyric. The divergence has continued to this day, producing the modern languages of Galician and Portuguese. The lexicon of Galician is predominantly of Latin extraction, although it also contains a moderate number of words of Germanic and Celtic origin, among other substrates and adstrates, having also received, mainly via Spanish, a number of nouns from the Arabic of Al Andalus. The language is officially regulated in Galicia by the Royal Galician Academy. However, independent organisations, such as the Galician Association of Language and the Galician Academy of the Portuguese Language, include Galician as part of the Portuguese language, as the Galician-Portuguese variant. Modern Galician and its sibling, Portuguese, originated from a common medieval ancestor designated variously by modern linguists as Galician-Portuguese (Mediaeval Galician, Medieval Portuguese, Old Galician or Old Portuguese). This common ancestral stage developed in the territories of the old Kingdom of Galicia, which covered the territories of modern-day Galicia and northern Portugal. In the 13th century it became a written and cultivated language. In the past Galician and Portuguese formed a dialect continuum, which many scholars contend still exists today at the level of rural dialects. Others point out that modern Galician and Portuguese have diverged to such an extent during the past seven centuries that they now constitute two closely related but separate languages. Historically, the Galician-Portuguese language originated from Vulgar Latin as a Western Romance language in the lands now in Galicia, Asturias and northern half of Portugal, which belonged to the mediaeval Kingdom of Galicia, itself comprising approximately the former Roman territory of Gallaecia as modified during the two centuries of the Suevic Kingdom of Galicia. The standards of the language began to diverge in the 14th century, as Portuguese became the official language of the independent kingdom of Portugal and its chancellery, while Galician was the language of the scriptoria of the lawyers, noblemen and churchmen of the Kingdom of Galicia, then integrated in the crown of Castile and open to influence from Castilian language, culture, and politics. During the 16th century the Galician language stopped being used in legal documentation, becoming de facto an oral language, with just some use in lyric, theatre and private letters. With respect to the external and internal perception of this relation, for instance in past editions of the Encyclopædia Britannica, Galician was defined as a Portuguese dialect spoken in northwestern Spain. However, most Galician speakers do not regard Galician as a variety of Portuguese, but as a different language, as modern Galician evolved without interruption and in situ from Latin, and Portuguese and Galician have had separate literary traditions since the 14th century. 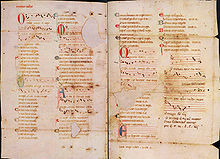 The oldest internal attestation of the expression Galician language ("lingoajen galego") dates from the 14th century. In Spanish "lenguaje gallego" is already documented in this same century, circa 1330; in Provençal circa 1290, in the Regles de Trobar by the Catalan Jofre de Foixà: "si tu vols far un cantar en frances, no·s tayn que·y mescles proençal ne cicilia ne gallego ne altre lengatge que sia strayn a aquell" [If you want to compose a song in French, you should not admix Provençal nor Sicilian nor Galician nor other language which is different from it]. Mutual intelligibility (estimated at 85% by Robert A. Hall, Jr., 1989) is very high between Galicians and northern Portuguese. The parliament of Galicia approved unanimously in 2014 the law 1/2014 of links with the Lusophony. As a consequence, on 20 October 2016, the city of Santiago de Compostela, the political capital of Galicia, approved by unanimity a proposal to become an observer member of the Union of Portuguese-Speaking Capitals (UCCLA). Also, on 1 November 2016, the Council of Galician Culture (Consello da Cultura Galega) was admitted as a consultative observer of the Community of Portuguese Speaking Countries (CPLP). The official position of the Galician Language Institute is that Galician and Portuguese should be considered independent languages which stemmed from one same language. The standard orthography is noticeably different from that of Portuguese, partly because of divergent phonological features, and partly due to the use of Spanish (Castilian) orthographic conventions, which ignore many proper Galician features, like open and close vowels, which do not exist in Spanish. However, the Galician Language Association (Associaçom Galega da Língua) and Galician Academy of the Portuguese Language (Academia Galega da Língua Portuguesa), belonging to the Reintegrationist movement, support the idea that differences between Galician and Portuguese speech are not enough to justify considering them as separate languages: Galician is simply one variety of Galician-Portuguese, along with Brazilian Portuguese; African Portuguese; the Galician-Portuguese still spoken in Spanish Extremadura, Fala; and other dialects. A "friendship and cooperation" protocol was signed between the Royal Galician Academy (RAG) and the Brazilian Academy of Letters on 10 January 2019. Víctor F. Freixanes, president of the RAG, stated during the ceremony that "there is a conscience that the Galician language is part of a family which includes our brothers from Portugal, Brasil, Angola, Cape Verde, Mozambique... a territory full of possibilities also for Galician. We always said that Galician is not a regional language, but is in fact part of that international project". These contrasting attitudes have distinct political implications. Considering Galician as an independent language reduces contact with Portuguese culture, leaving Galician as a minor language with less capacity to counterbalance the influence of Spanish, the only official language between the 18th century and 1975. On the other hand, viewing Galician as a part of the Lusophony, while not denying its own characteristics (cf. Swiss German), shifts cultural influence from the Spanish domain to the Portuguese. Although it is difficult to clarify the political positions of those who favour one view or the other, the vindication of Galician as an independent language is generally associated with more conservative political thought linked to certain Spanish political and administrative structures. Some scholar authors describe the situation as properly a continuum, from the Galician variants of Portuguese in one extreme to the Spanish language in the other (which would represent the complete linguistic shift from Galician to Spanish); reintegrationist points of view are closer to the Portuguese extreme, and so-called isolationist ones would be closer to the Spanish one. Galician is spoken by some three million people, including most of the population of Galicia and the numerous Galician communities established elsewhere, in Spain (Madrid, Barcelona, Biscay), in other European cities (Andorra la Vella, Geneva, London, Paris), and in the Americas (New York, New Jersey, Buenos Aires, Cordoba/Argentina, Montevideo, Havana, Caracas, Mexico City, São Paulo, Managua, Guadalajara, Veracruz City, Panama City). Galician is today official, together with the Spanish (Castilian) language, in the autonomous community of Galicia, where it is recognized as the autochthonous language (lingua propia), being the first language of the local administrations and governments. It is supposed by law to be taught bilingually, alongside Castilian, in both primary and secondary education, although the accomplishment of this law is allegedly doubted. It is also used at the three universities established in Galicia, having also the consideration of official language of the three institutions. Galician has also legal recognition in the Bierzo region in León, and in four municipalities in Zamora. The other languages with official status elsewhere in Spain are Castilian (also called Spanish), Catalan (or Valencian), Basque and Aranese. Galician has also been accepted orally as Portuguese in the European Parliament, having been used by some Galician representatives, among others: José Posada, Camilo Nogueira and Xosé Manuel Beiras. Controversy exists regarding the inclusion of Eonavian (spoken in the western end of Asturias, bordering Galicia) into the Galician language, as it has some traits in common with Western Asturian or bable occidental (spoken in the middle west of Asturias). There are those defending these linguistic varieties as dialects of transition to the Astur-Leonese group on the one hand, and those defending it as clearly Galician varieties on the other. The recent edition of the cartularies of Oscos in Eonavia and cartularies of Obona, Cornellana, Corias and Belmonte in middle west of Asturias have shown a huge difference in the medieval speech between both banks of the Navia river. An examination of the old documents of the Eonavian monastery of Oscos, written from the late 12th to early 14th century to 16th century, shows a clear identification of this language with the Galician-Portuguese linguistic group; while contemporary parchments elsewhere in Asturias are written in Castilian (i.e. Spanish). The two most important traits of those commonly used to tell apart Galician-Portuguese and Asturian-Leonese varieties are the preservation of the mid-open vowels /ɛ/ and /ɔ/, which became diphthongs in Asturian-Leonese, and the loss of intervocalic /n/, preserved in the latter language. Latinate Galician charters from the 8th century onward show that the local written Latin was heavily influenced by local spoken Romance, yet is not until the 12th century that we find evidence for the identification of the local language as a language different from Latin itself. 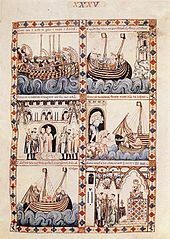 During this same 12th century we can find full Galician sentences being inadvertently used inside Latin texts, while its first reckoned use as a literary language dates to the last years of this same century. The linguistic stage from the 13th to the 15th centuries is usually known as Galician-Portuguese (or Old Portuguese, or Old Galician) as an acknowledgement of the cultural and linguistic unity of Galicia and Portugal during the Middle Ages, as the two linguistic varieties differed only in dialectal minor phenomena. This language flourished during the 13th and 14th centuries as a language of culture, developing a rich lyric tradition of which some 2000 compositions (cantigas, meaning 'songs') have been preserved—a few hundred even with their musical score—in a series of collections, and belonging to four main genres: cantigas de amor, love songs, where a man sings for his ladylove; cantigas de amigo, where a woman sings for her boyfriend; cantigas de escarnio, crude, taunting, and sexual songs of scorn; cantigas de maldecir, where the poet vents his spleen openly; and also the Cantigas de Santa María, which are religious songs. Galician-Portuguese lost its political unity when the County of Portugal obtained its independence from the Kingdom of Leon, a transition initiated in 1139 and completed in 1179, establishing the Kingdom of Portugal. Meanwhile, the Kingdom of Galicia was united with the Kingdom of León, and later with the Kingdom of Castile, under kings of the House of Burgundy. The Galician and Portuguese standards of the language diverged over time, following independent evolutionary paths. Portuguese was the official language of the Portuguese chancellery, while Galician was the usual language not only of troubadours and peasants, but also of local noblemen and clergy, and of their officials, so forging and maintaining two slightly different standards. During the reign of Alfonso X, Castilian Spanish became the official language of the chancellery of the Kingdom of Castile. However, in Galicia and neighboring regions of Asturias and León in 1200–1500, the local languages remained the usual written languages in any type of document, either legal or narrative, public or private. Castilian was progressively introduced through Royal decrees and the edicts of foreign churchmen and officials. 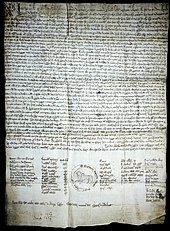 This led, from the late 15th century on, to the end of legal documents in Galician; the last ones were issued around 1530. Also, from 1480 on, notaries of the Crown of Castile were required to obtain their licenses in Toledo, where they had to prove their mastery of Spanish. In spite of Galician being the most spoken language, during the 17th century the elites of the Kingdom began speaking Castilian, most notably in towns and cities. 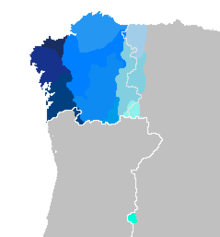 The linguistic situation in Galicia became one of diglossia, with Galician as the low variety and Spanish as the high one. In reaction to the relegation of the autochthonous language, a series of literary and historical works (always written in Spanish) appeared in the 17th century through 19th century, meant to vindicate the history, language, people, and culture of Galicia. The period from the 16th century to the early 19th century, when Galician had little literary—and no legal—use, is considered the dark age of Galician language. The Galician spoken and written then is usually referred to as Middle Galician. An important landmark was the establishment of the Seminario de Estudos Galegos in 1923, devoted to research and study of Galician culture. It was created by a group of students: Fermín Bouza Brey, Xosé Filgueira Valverde, Lois Tobío Fernández, with the collaboration of Ricardo Carvalho Calero, Antón Fraguas and Xaquín Lorenzo Fernández. Today, the most common language for everyday use in the largest cities of Galicia is Spanish rather than Galician, as a result of this long process of language shift. However, Galician is still the main language in rural areas. The Royal Galician Academy and other Galician institutions celebrate each 17 May as Galician Literature Day (Día das Letras Galegas), dedicated each year to a deceased Galician-language writer chosen by the academy. Use of Galician splits by age, with over half of those over 45 indicating that Galician is their primary language, with lower numbers for the younger population. Those under 45 were more likely than those over 45 to answer that they never use Galician. The resolution of medieval nasalized vowels and hiatus: these sometimes turned into diphthongs in the east, while in the center and west the vowels in the hiatus were sometimes assimilated. Later, in the eastern—except Ancarese Galician—and central blocks, the nasal trait was lost, while in the west the nasal trait usually developed into an implosive nasal consonant /ŋ/. In general, these led to important dialectal variability in the inflection in genre and number of words ended in a nasal consonant. So, from medieval irmão 'brother', ladrões 'robbers', irmãas 'sisters' we have eastern Galician irmao, ladrois, irmás; central Galician irmao, ladrós, irmás; western Galician irmán, ladróns, irmáns. In the west, /ɡ/ is rendered as a fricative [x ~ ħ ~ h] (gheada), except after a nasal, where it can become a stop [k]. In the Limia Baixa region an old six sibilant system is still preserved, with voiced/voiceless opposition: /ʃ/ – /ʒ/; /s̺/ – /z̺/ (apical) and /s̻/ – /z̻/ (laminal). Galician usually makes the difference according to gender and categorizes words as masculine "o rapaz" (the young man) or feminine "a rapaza" (the young woman). This difference is present in the articles "o / a / os/ as" (the), nouns "o can / a cadela" (the dog / the (female) dog), pronouns "el / ela", (he / she) and adjectives "bonitiño / bonitiña" (pretty, beautiful). There is also a neuter set of demonstrative pronouns "isto, iso, aquilo" (this / that). The most typical ending for masculine words is -o, whereas the most typical ending for feminine is -a "o prato / a tixola" (the plate / the frying pan). The difference in the grammatical gender of a word may correspond to a real gender difference in the physical world "xuicioso / xuiciosa" (sensible); the former adjective will qualify a male, and the latter, a female. However, there is no particular reason for objects to be adscribed to a particular grammatical gender or another, it has to do with the gender having been ascribed by tradition and the use of speakers as in the following examples: "o xis / o samba / a mesa / a caricatura" (chalk / the samba / the table / the caricature). All words have accent in Galician, considering that the accent is the fact of a particular syllable carrying the most stress in a word. The "tilde" (´) is a small line written over some vowels to show in some cases which syllable carries the accent, "paspallás" (quail), "móbil" (mobile) "cárcere" (jail, gaol). The tilde has some other functions. Sometimes the tilde is written to show that there is not a diphthong among two vowels which happen to be alongside one another within the same word "aínda" (yet). If the tilde happens to be necessary on a capitalized letter, it must be written regardless: "Óscar". Another use is the differentiation of meaning: there are words which can be differentiated by the presence or absence of the tilde: "cómpre" (it is necessary) versus "compre" (buy) as in "Cómpre que compre un reloxio" (It's necessary that I buy a clock). The current official Galician orthography is guided by the "Normas ortográficas e morfolóxicas do Idioma Galego" (NOMIGa), first introduced in 1982, by the Royal Galician Academy (RAG), based on a report by the Instituto da Lingua Galega (ILG). It remains a source of contention, however; a minority of citizens would rather have the institutions recognize Galician as a Portuguese variety and therefore still opt for the use of writing systems that range from adapted medieval Galician-Portuguese writing system or European Portuguese one (see reintegrationism). In July 2003, the Royal Galician Academy modified the language normative to admit some archaic Galician-Portuguese forms conserved in modern Portuguese. The changes have been considered an attempt to build a consensus among major Galician philology trends and represent, in the words of the Galician Language Academy, "the orthography desired by 95% of Galician people." The 2003 reform was made to put an end to the so-called "normative wars" raised by the different points of view of the relationship between the modern Galician and Portuguese languages. The modification has been accepted only by a part of the reintegrationist movement at this point. The question of the spelling system has very significant political connotations in Galicia. There are minor but significant political parties representing points of view that range from greater self-government for Galicia within the Spanish political setup to total political independence from Spain designed to preserve the Galician culture and language from the risk of being inundated by the Castilian culture and language. Since the modern Galician orthography is somewhat influenced by Castilian spelling conventions, some parties wish to change it. hallowed be thy name. Thy kingdom come. Thy will be done on earth as it is in heaven. santificado sexa o teu nome, veña a nós o teu reino e fágase a túa vontade aquí na terra coma no ceo. santificado seja o Teu nome, venha a nós o Teu reino e seja feita a Tua vontade aqui na terra como nos Céus. santificado seja o teu nome, venha a nós o teu reino, seja feita a tua vontade assim na Terra como no Céu. santificado sea tu Nombre, venga a nosotros tu reino y hágase tu voluntad en la tierra como en el cielo. sanctificetur nomen tuum, adveniat regnum tuum, fiat voluntas tua sicut in caelo et in terra. and lead us not into temptation, but deliver us from evil. e non nos deixes caer na tentación, mais líbranos do mal. e nom nos deixes cair na tentaçom, mas livra-nos do mal. e não nos deixes cair em tentação, mas livra-nos do mal. no nos dejes caer en tentación, y líbranos del mal. et ne nos inducas in tentationem; sed libera nos a malo. Amen. Amen. Amen. Amém. Amén. Amen. ^ "Observatorio da Lingua Galega". Observatorio da Lingua Galega. Retrieved 17 October 2015. ^ "Ethnologue report for language code: glg". Archive.ethnologue.com. Retrieved 17 October 2015. ^ Hammarström, Harald; Forkel, Robert; Haspelmath, Martin, eds. (2017). "Galician". Glottolog 3.0. Jena, Germany: Max Planck Institute for the Science of Human History. ^ de Azevedo Maia, Clarinda (1997). História do galego-português: estado linguístico da Galiza e do noroeste de Portugal desde o século XIII ao século XVI (com referência à situação do galego moderno) (Reimpressã da edição do INIC (1986) ed.). Lisboa: Fundação Calouste Gulbenkian. pp. 883–891. ISBN 9789723107463. ^ Sánchez Rei, Xosé Manuel (2011). Lingua galega e variación dialectal. Noia, Galiza: Edicións Laiovento. pp. 369–371. ISBN 978-84-8487-208-5. ^ Àlvarez, Rosario; et al., eds. (2002). Dialectoloxía e léxico (PDF). Santiago de Compostela: Instituto da Lingua Galega [u.a.] pp. 41–68, 193–222. ISBN 978-84-95415-66-0. ^ Sánchez Rei, Xosé Manuel (2011). Lingua galega e variación dialectal. Noia, Galiza: Edicións Laiovento. p. 24. ISBN 978-84-8487-208-5. ^ Vázquez Cuesta, Pilar "Non son reintegracionista" Archived 8 December 2011 at the Wayback Machine, interview given to La Voz de Galicia on 22 February 2002 (in Galician). ^ "Santiago entra na Unión das Cidades Capitais de Lingua Portuguesa (UCCLA)". Concello de Santiago. Retrieved 24 October 2016. ^ consellodacultura.gal (11 January 2016). "O CCG ingresa como Observador Consultivo na Comunidade dos Países en Lingua Portuguesa". consellodacultura.gal (in Spanish). Retrieved 7 November 2016. ^ "Patrimonio léxico da Gallaecia". Instituto da Lingua Galega (in Spanish). 20 July 2018. Retrieved 3 October 2018. ^ "História do Reintegracionismo". Associaçom Galega da Língua. 17 December 2010. Retrieved 3 October 2018. ^ "A RAG e a Academia Brasileira de Letras asinan un acordo de amizade e colaboración - Benvida - Real Academia Galega". academia.gal. Retrieved 21 January 2019. ^ "Trabalhos de sociolinguística galega / Some Works on Galizan Sociolinguistics". Udc.es. 13 December 2004. Retrieved 30 June 2012. ^ Laverde e Ruiz, Gumersindo, "O dialecto asturiano", Review Ibérica of Politic Science, Literature, Arts and Public Instruction, vol. 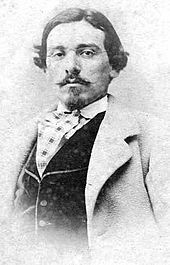 V, 1862. ^ Alvárez Castrillón, José A., Los Oscos en los siglos X-XII, prólogo Ignacio de la Peña Solar, Oviedo 2001, p. 144-234. ^ As an example, in a passage of the Historia Compostellana it is stated, as a notable event, that bishop Diego Gelmirez spoke publicly in Latin. ^ Cf. Souto Cabo, José Antonio, ed. (2008). Documentos galego-portugueses dos séculos XII e XIII. A Coruña: Universidade da Coruña. ISBN 978-84-9749-314-7. ^ Queixas Zas, Mercedes (2001). Historia xeral da literatura galega. Vigo: A nosa terra. p. 14. ISBN 978-84-95350-79-4. ^ Queixas Zas, Mercedes (2001). Historia xeral da literatura galega. Vigo: A nosa terra. pp. 24–61. ISBN 978-84-95350-79-4. ^ Boullón Agrelo, Ana Isabel, ed. (2007). Na nosa lyngoage galega: a emerxencia do galego como lingua escrita na Idade Media (PDF). Santiago de Compostela: Consello da Cultura Galega. pp. 447–473. ISBN 978-84-96530-44-7. ^ Souto Cabo, José Antonio, ed. (2008). Documentos galego-portugueses dos séculos XII e XIII. A Coruña: Universidade da Coruña. p. 51. ISBN 978-84-9749-314-7. ^ Monteagudo, Henrique, ed. (2002). Sobre a lingua galega: antoloxía. Martín Sarmiento (PDF). Vigo: Galaxia. p. 35. ISBN 978-84-8288-528-5. ^ Minahan, James (2000). One Europe, many nations: a historical dictionary of European national groups. Westport, Conn.: Greenwood Press. p. 279. ISBN 978-0-313-04866-1. Following Franco's 1939 victory, the Galicians suffered severe punishment – their culture was suppressed, and edicts were issued forbidding the speaking, teaching, or publishing of books or newspapers in the Galician language. ^ "IGE 2003-2011". Spain. Retrieved 17 June 2018. ^ Bold type indicate official standard spelling. On the phonemic representation cf. Freixeiro Mato (2006). ^ Metaphony produced by final /a/ and by final /o/ (usually produced [ʊ]). All the diverse productions are considered admissible. In the east there's little to none metaphony. ^ Different evolution of the group /ste/ led to different desinences for the past tense formation along Galician geography. ^ a b c Plural form of singular animal, 'animal'. ^ "Real Academia Española". Buscon.rae.es. Retrieved 30 June 2012. ^ Note that avó /ɐˈvɔ/ in Portuguese means "grandmother". Castro, Olga (February 2013). "Talking at cross-purposes? The missing link between feminist linguistics and translation studies". Gender and Language. 7 (1): 35–58. doi:10.1558/genl.v7i1.35. Examines the arguments for and against the use of inclusive language in (literary) translation through an analysis of the "ideological struggle" that emerged from two ideologically disparate rewritings of gender markers into Galician of The Curious Incident of the Dog in the Night-Time, by Mark Haddon (2003), focusing on the ideological, poetic and economic pressures that (still) define the professional practice of translation. 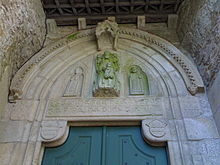 Wikimedia Commons has media related to Galician (surname). This page was last edited on 3 April 2019, at 21:51 (UTC).